AdWords recently introduced IF functions to users as a new method of creating customized ad content. The new feature allows advertisers to generate and serve personalized ad copy when specific conditions are met by their audience. How will this impact your AdWords campaigns, and what can you do to leverage this new feature? Read on to learn more about AdWords IF functions and how you can get started using them today. If you’re already an AdWords user, you’re probably already familiar with AdWords ad customizers. This feature of AdWords allows advertisers to automatically create custom content for search ads according to their audience’s search query, device, location and other variables. The new IF functions allow ad experiences for Search Network ads to be customized even further by giving advertisers the ability to trigger customized ads to be served when specific conditions are met. When those conditions are not met, default text is displayed. As an example, you may want to serve up a special offer for new customers. With IF functions, you can set up your ads to include the text “10% off your first purchase” be displayed as the heading of your ad only when the person viewing your ad has not converted previously. If an individual does not meet the parameters to trigger the custom message, your default message will display instead, preventing existing customers from seeing an offer that is not applicable to them. IF functions allow advertisers to display customized offers to their audience. The key benefit of using IF functions is that advertisers gain an enhanced ability to create personalized ad copy for specific audiences. Personalized content has been proven to increase conversion rates across multiple channels. The more personalized you can make the user experience, the better ROI you will see from your advertising efforts. By creating targeted experiences that are triggered under specific conditions, advertisers can create more compelling brand experiences for the right people. What’s more, IF functions can allow AdWords users to focus their ad spend on users that are more likely to convert, ensuring that their budget goes farther. Some studies have shown that implementing automation to display customized content can help advertisers generate up to 50% more leads, while cutting costs by as much one-third. Anyone familiar with an automation service like IFTTT or with a computer programming background will likely be able to use this new feature effortlessly. However, any advertiser can get started with this powerful customized tool with by reviewing AdWords’ guidelines for use. Visit the AdWords support site to learn how to construct and implement IF functions in your existing campaigns. Target by Device: While the new Expanded Text Ads diminish the importance of having mobile-specific copy, IF functions do allow for device-specific copy. If you’re focused on mobile PPC, using IF functions could be a good way to hone in on your audience. Target by Audience Segmentation: IF functions allow you to focus your ads on specific devices or on any valid user list name. To get the full benefit of this targeting, you’ll want to do you research ahead of time and have a good understanding of what different groups make up your target audience, and how you can best segment them out for advertising purposes. Customize Headlines and/or Description: Customized copy can be inserted in both headline and description elements. The only place that IF functions cannot be used is in the final URL of your ad. They Don’t Use Feeds: Unlike other ad customizers IF functions don’t use feeds. This means that ads that use IF functions aren’t necessarily ideal for displaying a catalog of various products or services. They are Only for Search Network Ads: Display ads don’t currently support IF functions. Be sure that when you implement IF function text into new or existing ads, you do so only for search network ads. Developing personalized ad campaigns can have a significant positive impact on your AdWords ROI. But leveraging features like IF functions requires investing time and resources in your campaigns. Working with experienced PPC managers can allow you to get the most out of AdWords’ more advanced features. 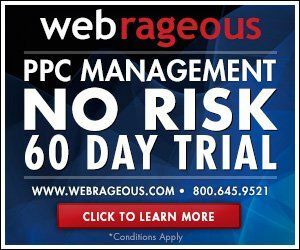 Webrageous’ team of PPC managers can work with you to leverage the features and strategies that will help you tap into the full potential of your digital advertising campaigns. 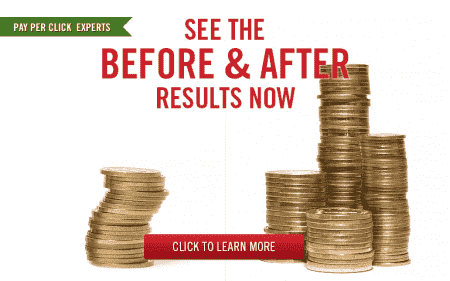 With our assistance, you can optimize your PPC campaigns for maximum results. Contact Webrageous today for a consultation and to learn more about how we’re already helping businesses like yours use AdWords more effectively.